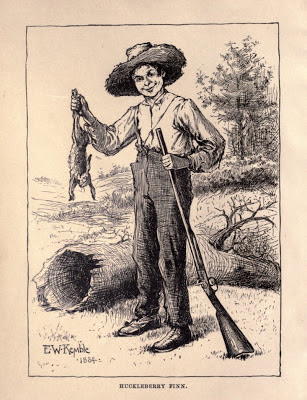 1885, Adventures of Huckleberry Finn, New York: Charles L. Webster & Co., illustration E.W. Kemble. One was a big family Bible full of pictures. One was Pilgrim’s Progress, about a man that left his family, it didn’t say why. I read considerable in it now and then. The statements was interesting, but tough. Another was Friendship’s Offering, full of beautiful stuff and poetry; but I didn’t read the poetry. 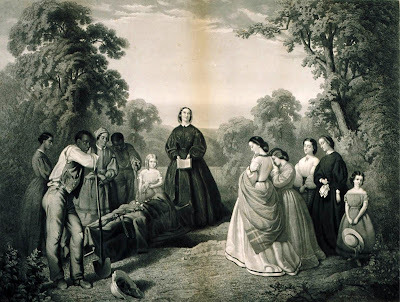 Another was Henry Clay’s Speeches, and another was Dr. Gunn’s Family Medicine, which told you all about what to do if a body was sick or dead. 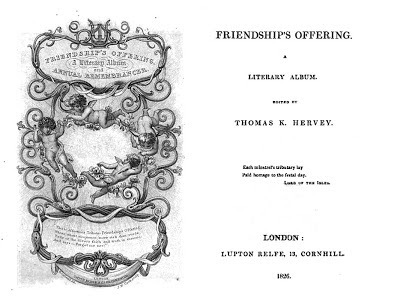 For an article on Friendship’s Offering, see HERE. 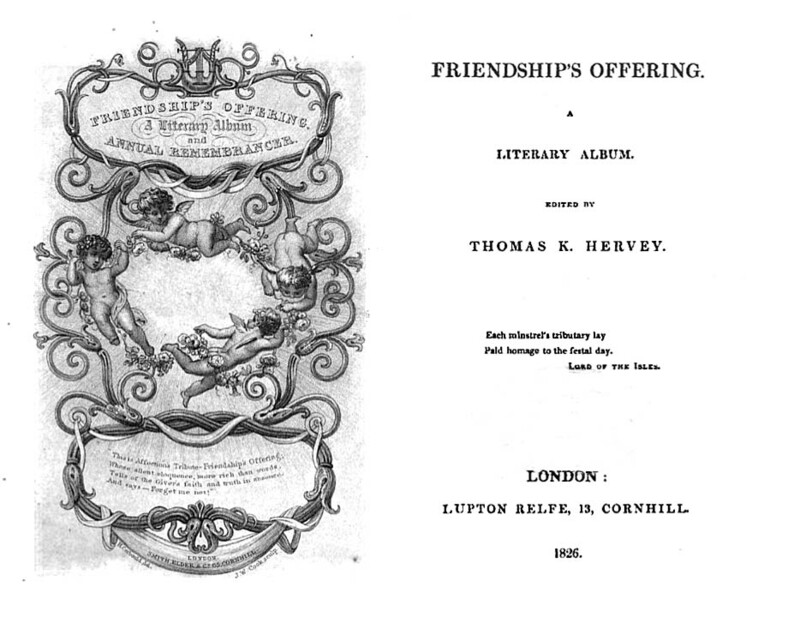 1826, Friendship’s Offering, frontispiece and title page. The family medical book would have been the homeopathic guide, Gunn’s Domestic Medicine: Or Poor Man’s Friend, In The Hours Of Affliction, Pain And Sickness (1835). It may be read HERE. The pictures on the walls were engravings – “mainly Washingtons and Lafayettes, and battles, and Highland Marys, and one called Signing the Declaration.” The rest of the pictures were crayon drawings by Emmeline Grangerford, a melancholy girl who had died in her teens. These were all dark studies of distraught mourning women and had titles like Shall I Never See Thee More Alas. These was all nice pictures, I reckon, but I didn’t somehow seem to take to them, because if ever I was down a little they always give me the fan-tods. Everybody was sorry she died, because she had laid out a lot more of these pictures to do, and a body could see by what she had done what they had lost. But I reckon that with her disposition she was having a better time in the graveyard. She could rattle off poetry like nothing. She didn’t ever have to stop to think… She would slap down a line, and if she couldn’t find anything to rhyme with it she would just scratch it out and slap down another one, and go ahead. She warn’t particular; she could write about anything you choose to give her to write about just so it was sadful. 1868, The Burial of Latane, engraving by A.G. Campbell after an 1864 oil painting by William D. Washington. 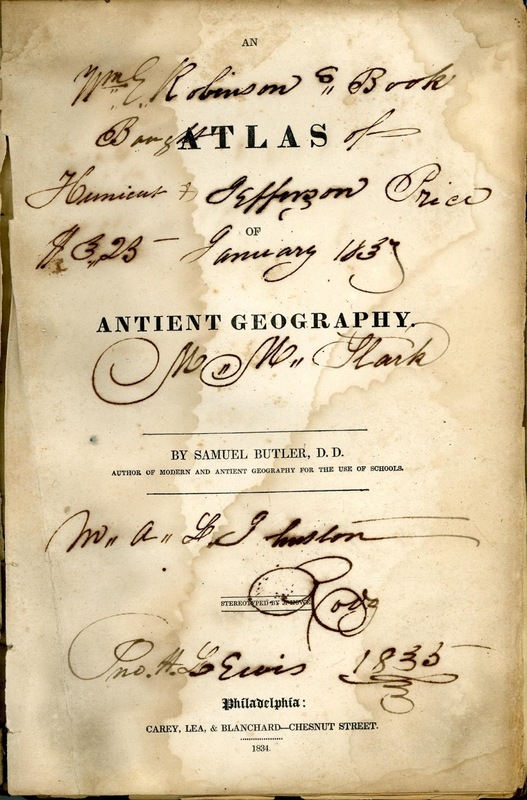 1834, Samuel Butler, An Atlas of Antient Geography, title page. Many years ago, I purchased several ragged old schoolbooks from a used bookshop in Richmond, Virginia. These brought the fad for sentimental amateur verse in the antebellum South vividly into focus. 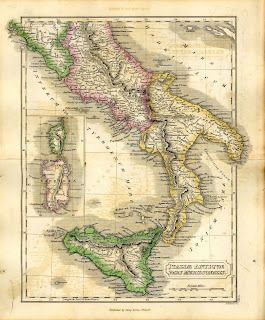 The nicest was a volume of hand-colored maps entitled An Atlas of Antient Geography by Samuel Butler, D.D. 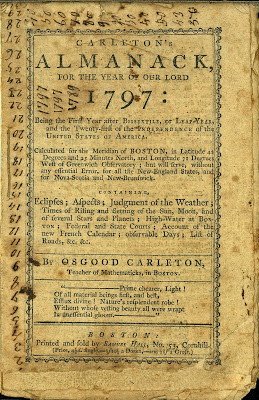 (1774-1839), published by Carey, Lea and Blanchard of Chestnut Street, Philadelphia, in 1834. (Dr. Butler, the grandfather of the novelist Samuel Butler, was the Bishop of Lichfield and headmaster of Shrewsbury School. 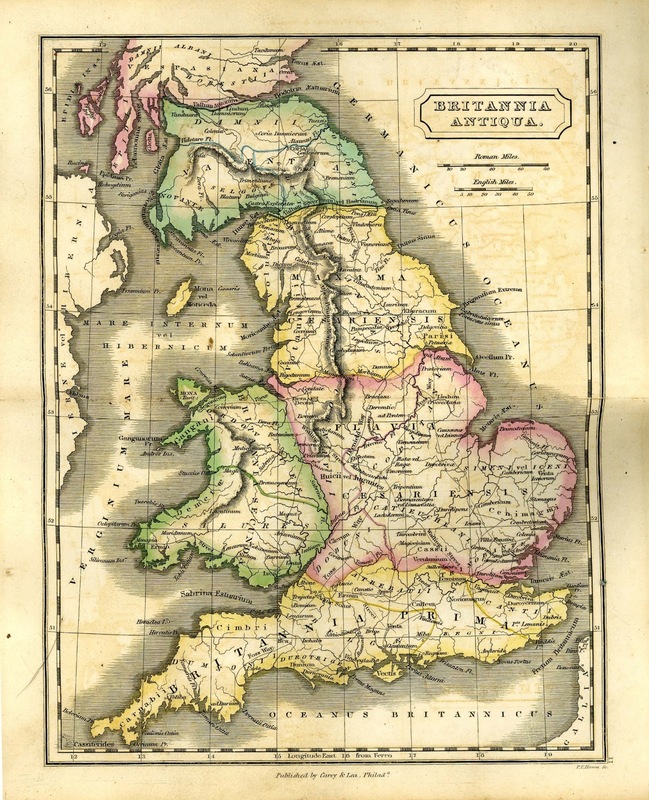 His atlas first appeared in 1822.) The double-page hinged copperplate maps were in excellent condition, but on the blank versos a past owner had liberally written notes, arithmetical sums, doodles and a small quantity of saccharine love verses of the same caliber as “Emmeline Grangerford’s” poetical effusions. 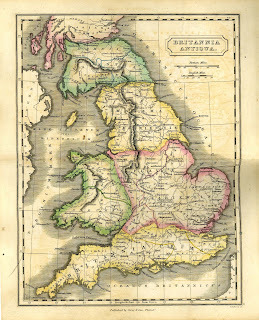 Map of Ancient Britain from Butler’s Atlas. In the first “Indiana Jones” film, Raiders of the Lost Ark, Belloc the evil archeologist dangles a cheap bazaar watch in front of Jones and points out that although it is worthless now, if it were buried in the sand for three millennia it would become priceless. By the same token, today’s juvenile scribbles in ballpoint on ruled paper are valueless, but in 150 years may be prized as cultural artifacts. Thus it is with the marked-up copy of Dr. Butler’s Atlas. 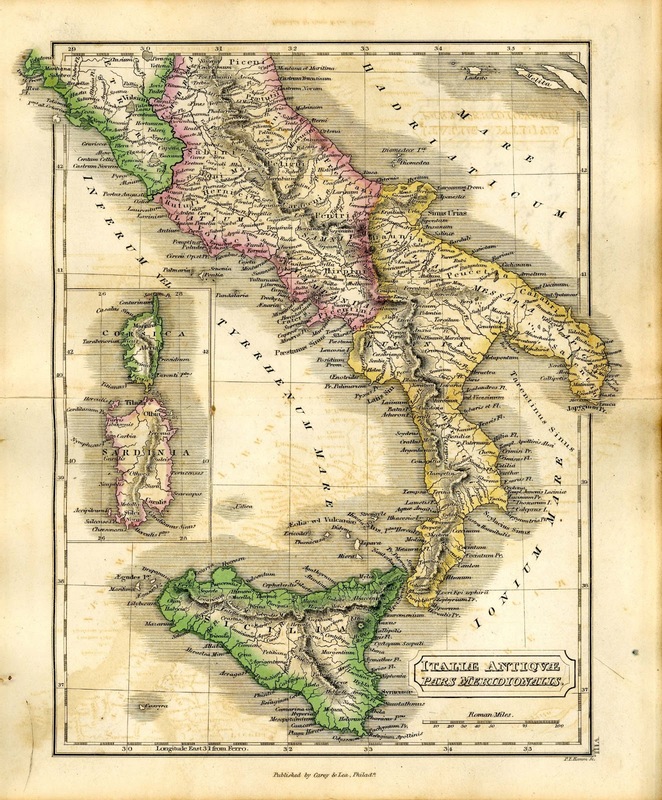 Map of Ancient Italy from Butler’s Atlas. 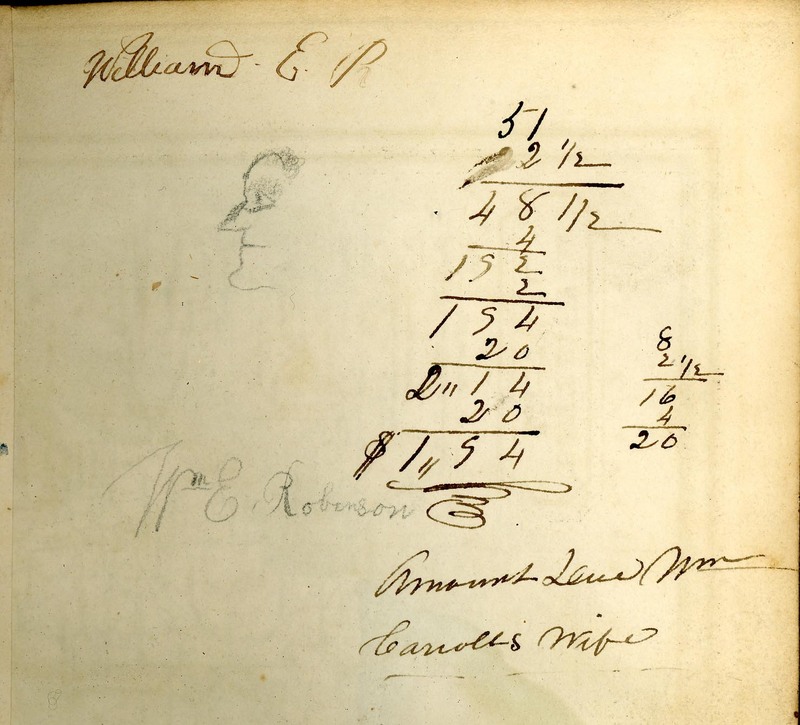 Young Robinson’s parents purchased the atlas from the firm of Hunnicut and Jefferson for $3.25 in January 1837. Since map coloring was a regular part of geography classes at the time, it is possible that William Robinson himself executed the neat water coloring on the maps, although other surviving copies of this book are similarly tinted. The purchase price was fairly steep for the period and may have reflected the cost of hand coloring. 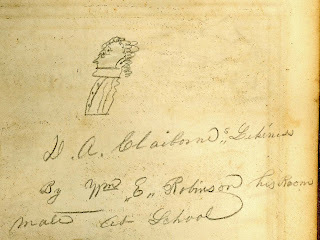 1845, A crude pencil sketch of Devereaux Augustine Claiborne (1822-60) by William E. Robinson. 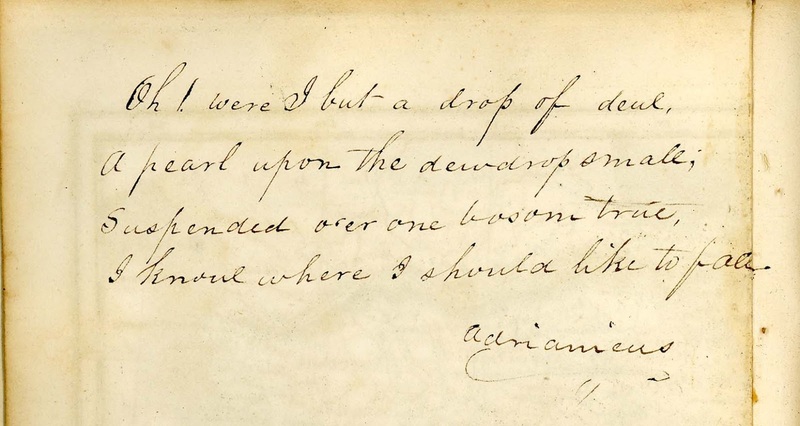 From another inscription, we learn that the “D.A.” stood for “Devereaux Augustine.” This uncommon name can be traced more easily than that of the unskilled artist. The son of Augustine Claiborne and Jane Epes Fraser, Devereaux A. Claiborne of Mecklenburg County, Virginia, lived from February 17, 1822 to April 1, 1860, dying young in Tipton, Tennessee. He married Fannie S. Starke (1827-78). “Amount Due Wm. Carroll’s Wife” and crude profile. Robinson’s forte was certainly not drawing (or spelling.) Only two other tiny graphics adorn his book: a partial profile face and a cavalry saber and scabbard in light pencil. The face adorns a complex series of additions, subtractions and multiplications, resulting in the amount of $1.94 “Amount Due Wm. Carrolls Wife.” We are left in the dark about what goods or services Mrs. Carroll supplied, but laundry is a strong possibility in a boarding school environment. I know where I should like to fall. 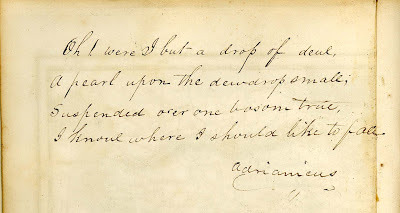 1845, “Oh, were I but a drop of dew,” by William E. Robinson. Tis love that rules the realms above. That Sarah holds my heart at thrall. 1845, “Why should I blush,” by William E. Robinson. And each dull hour seems heavier than the last. Oh then forget me not. All thy love for me. 1845, “Forget me not,” by William E. Robinson. Warren County, NC shares a portion of its northern boundary with Brunswick County, VA, so William’s family probably moved about thirty miles south. 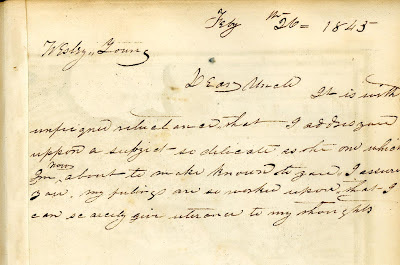 1845, “Dear Uncle,” by William E. Robinson. 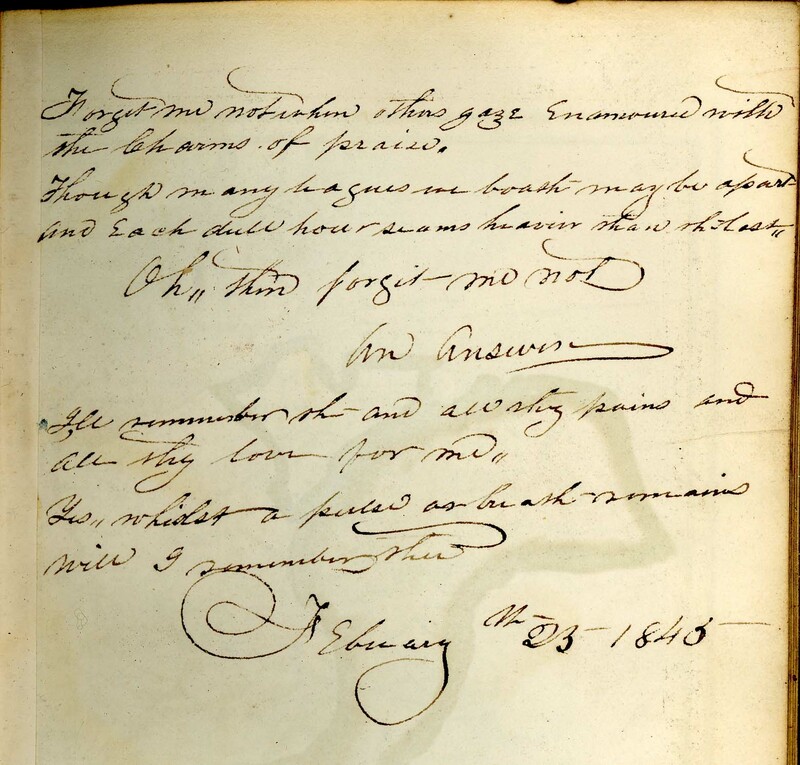 Writing paper was such a scarce commodity that many people employed blank flyleaves of books and the margins of almanacs to draft letters and keep accounts, or to indulge the human passion for idle doodling. 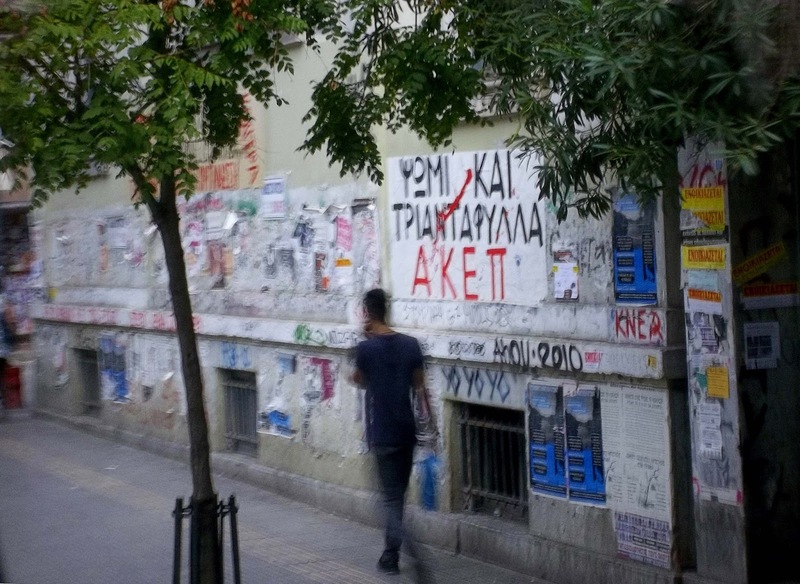 The downside of the identical impulse is the graffiti that defaces ancient Egyptian monuments, the Athenian Acropolis, unique petroglyphs in the Southwest and most modern structures. 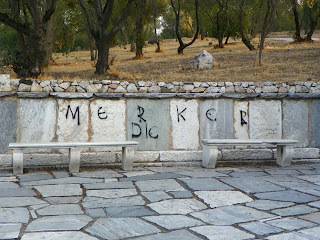 September 2012, graffiti in the park below the Acropolis, Athens, Greece, threatening German leader Angela Merkel. 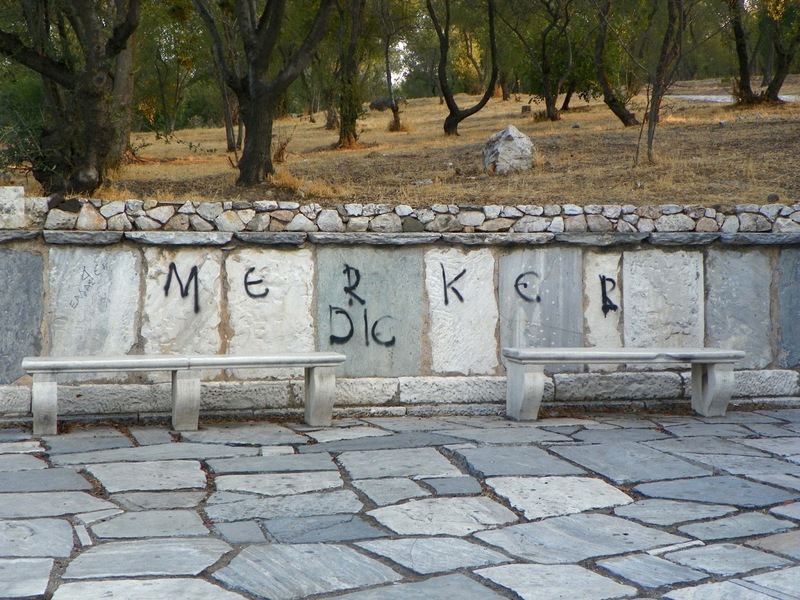 Bored Norse mercenaries in the Byzantine imperial guard scratched their names into the marble railings of Hagia Sophia (“Halfdane was here,”) in the same way that G.I.s decorated hundreds of walls with “Kilroy was here.” Oddly enough, graffiti can insure a form of immortality. 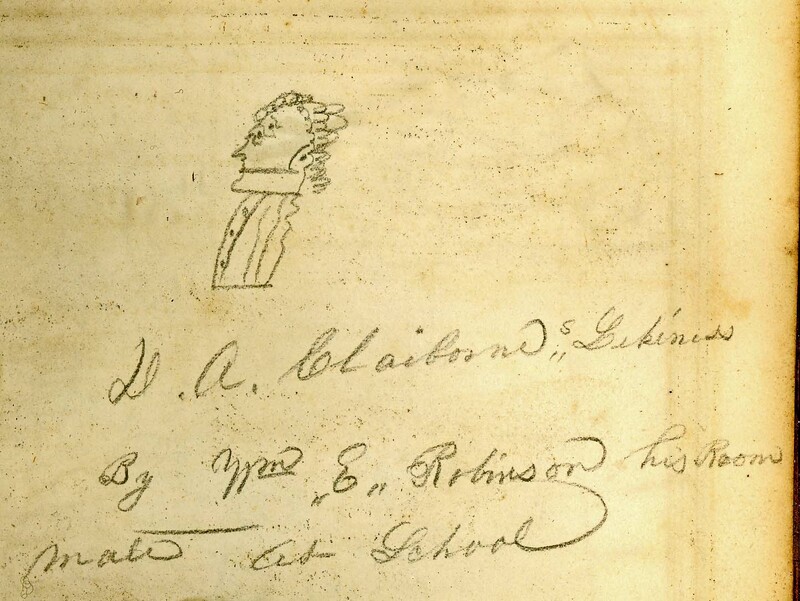 William E. Robinson is unknown to history, except for his defaced book. 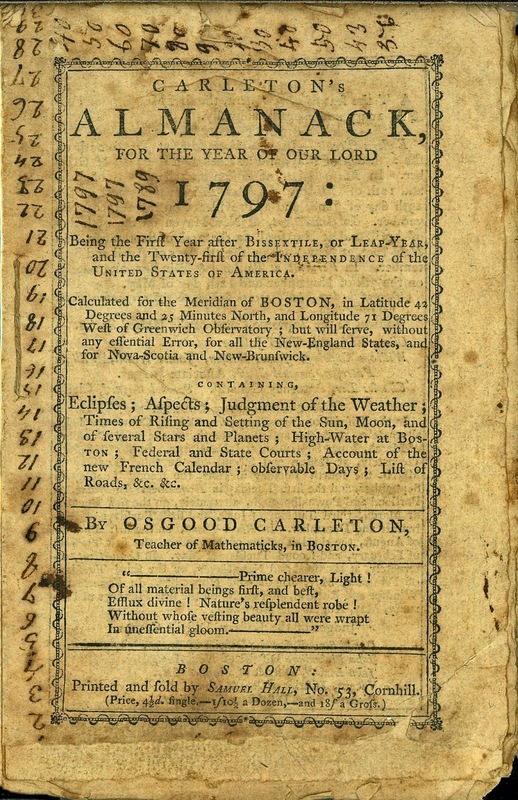 Carleton’s Almanack for 1797, with ink inscriptions. 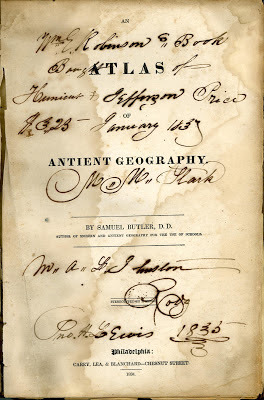 Butler’s Atlas may be viewed HERE. 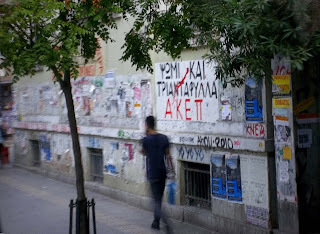 September 2012, graffiti on a street in Athens, Greece. Another book from the same group was nearly a century older than Will Robinson’s atlas. 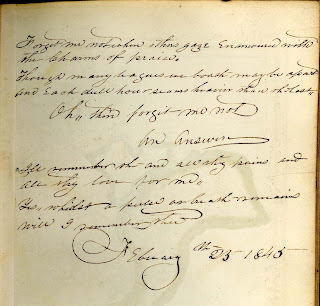 This volume belonged to a somewhat older Latin and classical student named Francis Conway (March 7, 1748/9, old style - February 13, 1794) who lived at Belle Grove plantation in King George County, Virginia, along the Rappahannock River. His aunt “Nelly” Conway, was President James Madison’s mother. Conway later served on the county Committee of Safety from 1774 to 1776 and in the “minute service” of the Virginia Militia in 1775-76, transferring to the Continental Army on September 10, 1776. He bore the title of Captain for the remainder of his life. 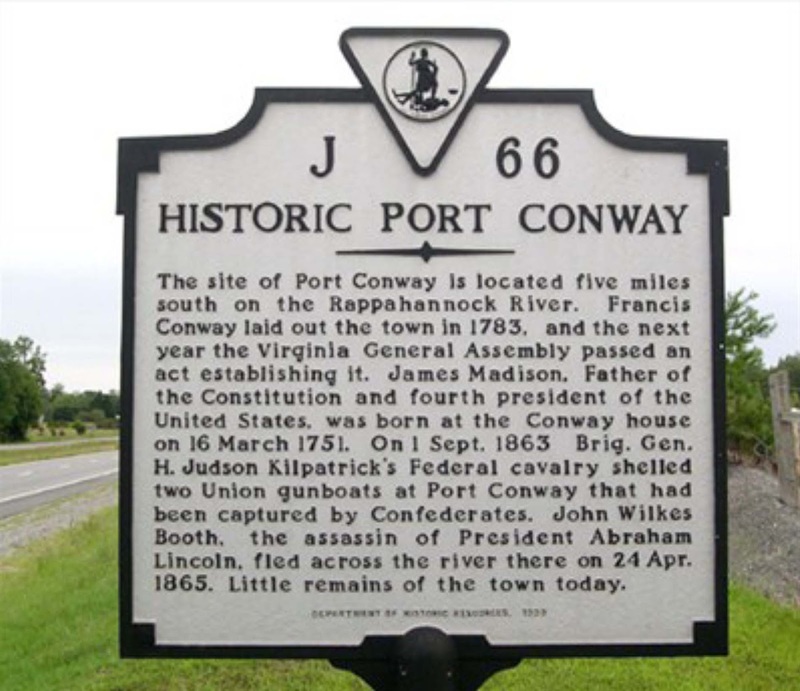 In 1784, the General Assembly granted him the right to sell lots near Belle Grove and establish the town of Port Conway. Present-day Belle Grove Plantation, King George County, Virginia. The present Belle Grove plantation, now a “bed and breakfast,” begun in 1791, replaced an earlier house. (James Madison was born in 1751 at the original house, his mother’s childhood home.) Little remains of Port Conway today. Belle Grove and a cemetery mark its site near Route 301, across the Rappahannock from Port Royal. The river crossing placed the site at the heart of Union and Confederate troop movements during 1862 and 1863. John Wilkes Booth crossed here as well, during his escape from Washington, D.C. after assassinating President Lincoln. Autograph of Captain Francis Conway (1749-94). 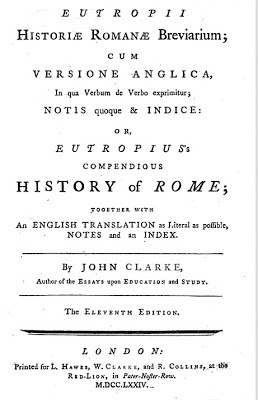 Historiae Romanae Breviarium by Flavius Eutropius. 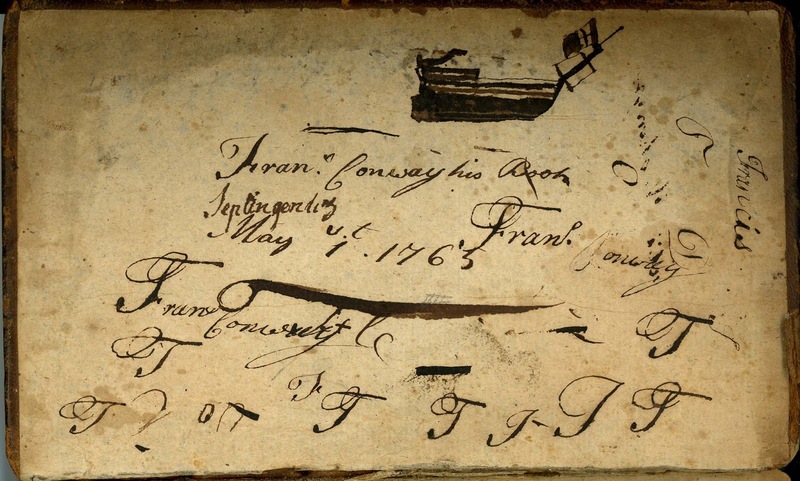 Over a year earlier, however, on May 1, 1765, he had scribbled and doodled over both endpapers. (Over the years, the flyleaves and title page have gone missing, together with any writing young Conway may have added.) 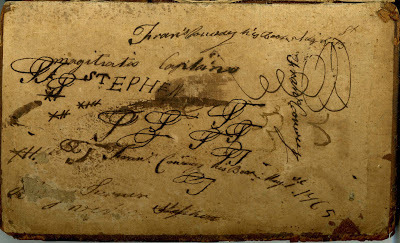 Most of the idle scribbling consists of variants on “Fran’s Conway his Book” and the date, together with rows of capital “Fs” and squiggles, or flourishes, plus the name “STEPHEN” in clumsy block capitals. Front endpaper of Francis Conway’s copy of Clarke’s Eutropius, with doodles. The most interesting feature is a crude silhouette of a merchant ship hull, with a prominent rudder tiller and a flag on the bowsprit. Such a vessel would have been an everyday sight on the busy Rappahannock River, a major waterway and commercial route. We may imagine the bored pupil, gazing out the window and idly doodling as his tutor or schoolmaster droned on, sketching a ship in the same frame of mind as today’s children decorate school notebooks with spaceships and fighter jets. 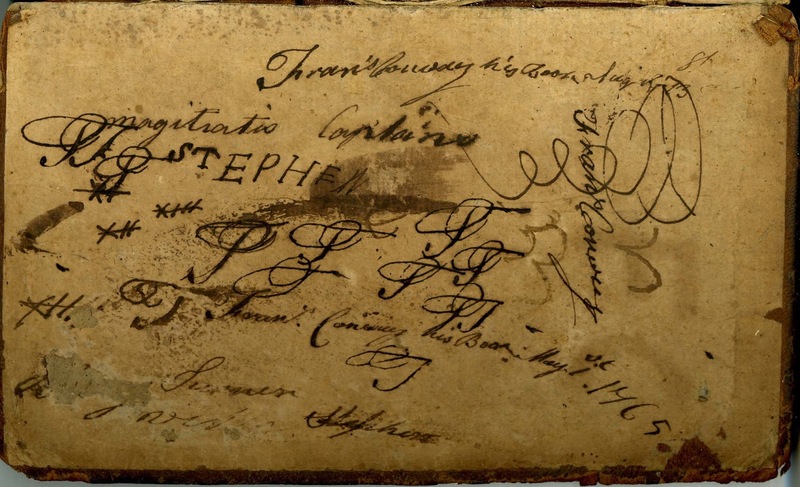 Rear endpaper of Francis Conway’s copy of Clarke’s Eutropius, with doodles. 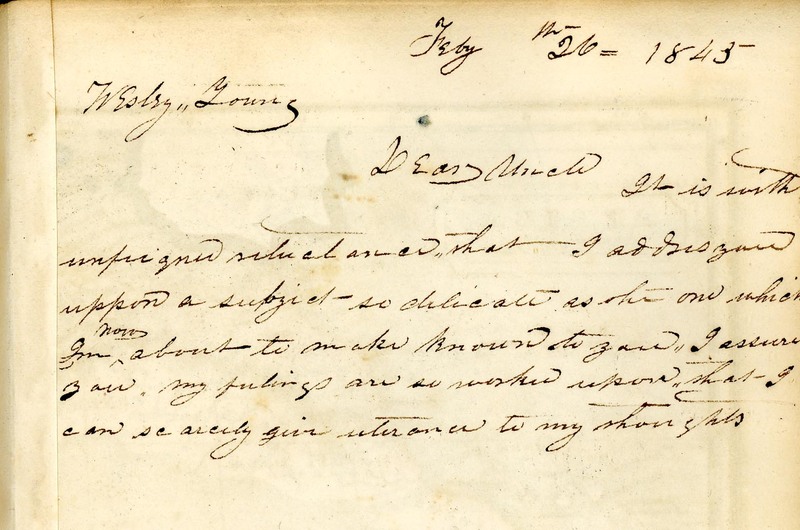 On page ix appears the name “George Conway August 1809.” According to a Conway genealogy by the Rev. Horace Edwin Hayden (1891), Francis Conway sired ten children with his wife Elizabeth Fitzhugh, whom he married in 1770. 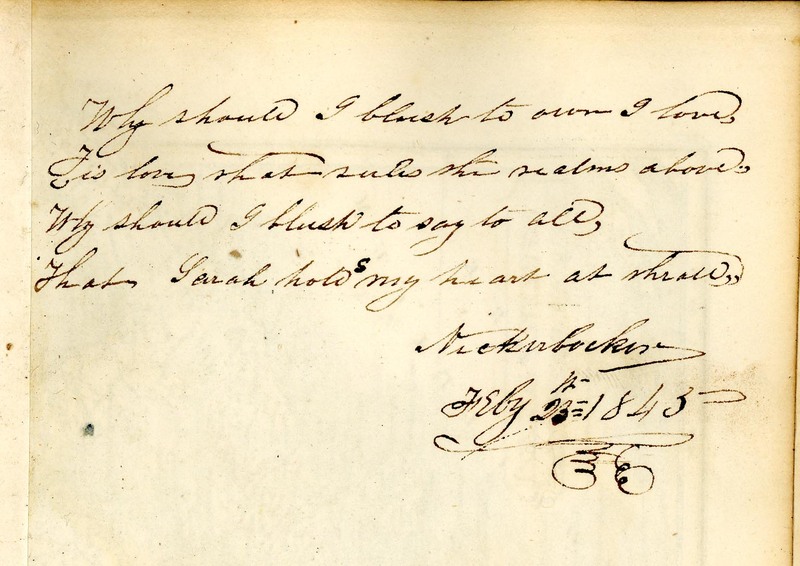 Their eldest son, Francis Fitzhugh Conway, was killed at Fredericksburg in a duel with William Thornton in 1803. Thornton also received a mortal wound in the quarrel over the affections of future President Madison’s niece, Lucie H. Macon. 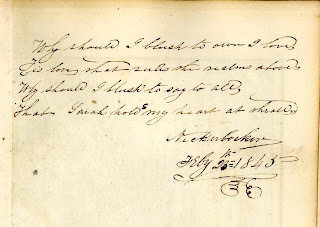 The seventh son, George, later an officer in the War of 1812, lived from 1789 to 1827. He seems to have inherited his father’s battered copy of Eutropius, but refrained from adding anything save his neatly penned name and the date. 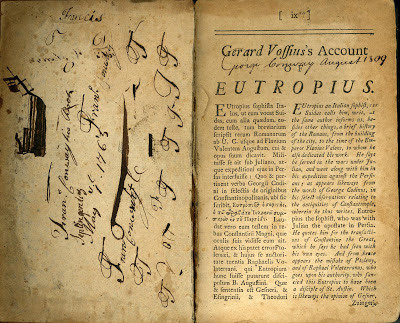 1809, first surviving page of Francis Conway’s copy of Clarke’s Eutropius, with signature of his son George. 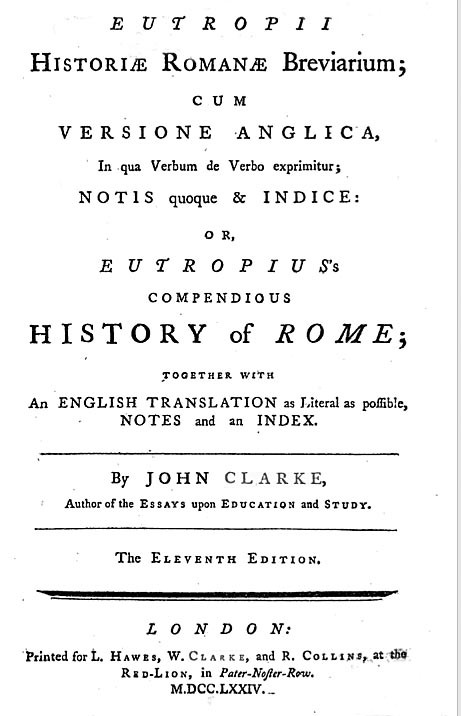 Clarke’s 1774 edition of the Breviarium of Eutropius may be read HERE. Virginia state historical marker near the site of Port Conway, King George County, Virginia. Devereaux Augustine Claiborne (Doc) is my great-great grandfather who married Frances (Fannie) Southgate Starke, who is buried in Old Trinity Church in Mason, Tennessee. How very interesting to see a hand-drawn picture of him! His mother, Jane Eppes Fraser, is, reportedly, descended from the much-maligned Lord Lovett of Scotland. Augustine Claiborne was a member of the House of Burgesses, I believe. Doc Claiborne was a renowned attorney in Virginia before his untimely death.